Creating videos: What should make the cut? 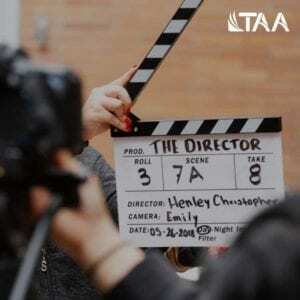 You are here: Home / 2018 TAA Conference / Creating videos: What should make the cut? We’ve all seen some excellent videos (and some really awful ones) for instructional purposes. It’s no secret that video is a powerful medium for learning, but as with any technology, it should be used strategically, and done in a way that enhances the learning process. During his presentation on “Video Creation for Textbook Authors & Instructors” at the Textbook & Academic Authoring Conference in Santa Fe, Sasha Vodnik, author of video courses with lynda.com (aka LinkedIn Learning), shared his tips on what to include (and what to avoid) in your instructional videos. Even if, as authors, we don’t want to believe the claim that “students don’t read”, Vodnik shared some excellent reasons why authors should consider creating videos. Video lets authors make material available that there may not have been room for in the print book! What goes in a video? To determine what should go into a video, consider what has made the great instructional videos you’ve seen, great. Chances are they did more than tell you something. They showed you something! To show your viewers what they need to learn, consider including slides and screen captures from your computer. In exceptional situations, students may benefit from your “talking head”, but use this sparingly and when other visual elements aren’t sufficient. What doesn’t go in a video? Exactly. Some things just don’t belong in the video. Instead, Vodnik advises that you put meta-information (who you are and what you are talking about) in the accompanying text rather than in the video itself. Just dive right in! Once recording has started be careful to avoid a talking head without an accompanying illustration and anything that’s not useful for illustrating your point. Ready to get started making your own videos on your PC or Mac? Check out Vodnik’s How-to: Video creation for textbook authors and instructors for detailed steps on the process.